This is an ALL ORIGINAL 34.5mm. 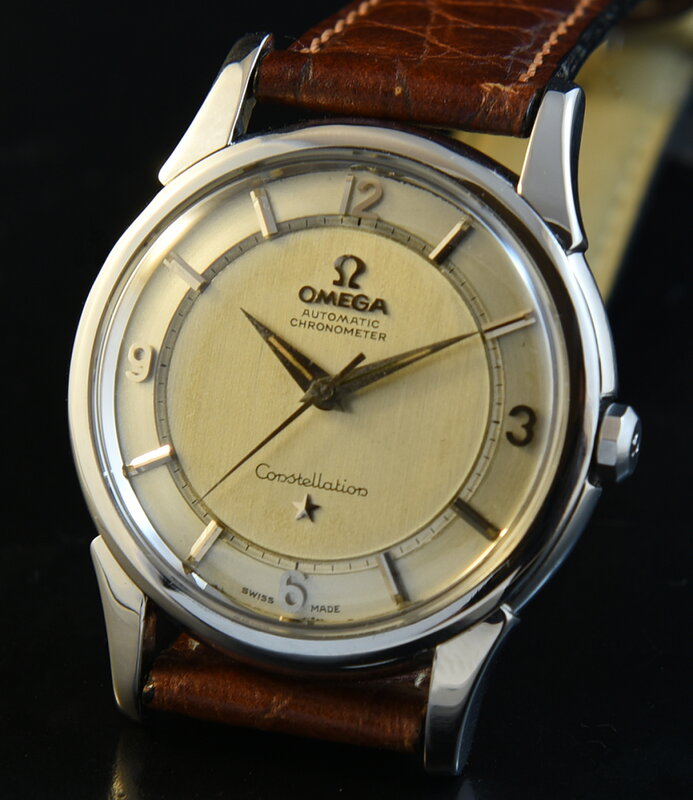 1960 OMEGA CONSTELLATION with uncommon and stunning ORIGINAL rail two-tone dial which has aged spectacularly. I love the “Explorer style” Arabic numerals along with the original steel Dauphine hands. The caliber 551 OMEGA movement was just cleaned and is accurate. This watch gleams. If you ask me to recommend an OMEGA-this is it! $2250.